On 4th April last, HIPRA welcomed a group of ten Jordan veterinarians and from the largest poultry meat groups in Jordan to its facilities in Amer (Spain) for the Official Jordanian Launch of EVALON®, its live attenuated vaccine against coccidiosis in broiler breeders and layers. Present at the event was Martina Dardi, Corporate Product Manager for Coccidiosis vaccines at HIPRA, who highlighted the reason behind the vaccine's composition and the importance of a solvent containing an adjuvant that helps to stimulate cellular immune response: HIPRAMUNE®T. 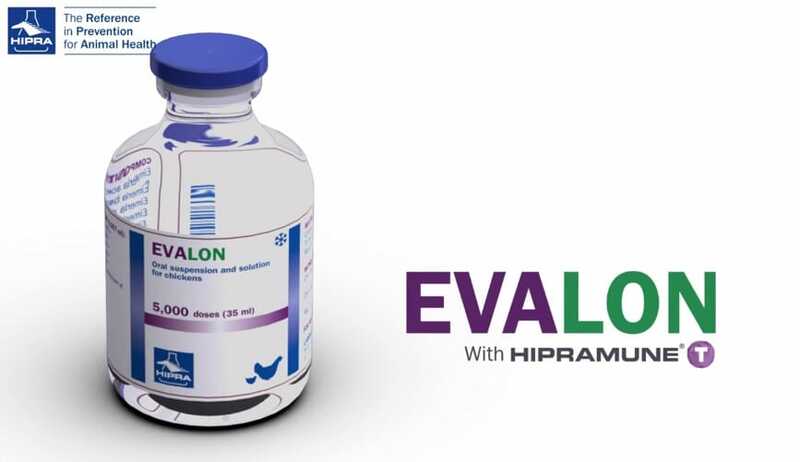 "In fact, the solvent in EVALON® contains a light violet dye to stimulate preening after vaccination with coarse spray droplet, with a vanillin flavour that also encourages preening activity, especially in low light conditions, and an adjuvant—for the first time in a live vaccine—that enhances cellular immune response by activating the production of interferon γ and IL-2, and guarantees lasting protection (up to 60 weeks post-vaccination)." She concluded the session by addressing another important issue: the importance of a good vaccination process as the starting point for correct immunisation against coccidiosis. Finally, Ana Mansilla (Corporate Product Manager for Medical Devices), Cristina Martin (Marketing Technologist) and Xavier Coromina (Medical Devices Specialist) introduced the participants with the traceability concept provided by HIPRASPRAY®—a specific device for EVALON® administration—and the HIPRALINK® vaccination management tool developed by HIPRA to provide traceability services. HIPRALINK® allows for the flawless documentation of the vaccination process in the hatchery and ensures that field technicians receive real-time information about the vaccination process. With this initiative, HIPRA is strengthening its commitment to coccidiosis prevention and demonstrating its support for professionals in the poultry industry in Jordan.